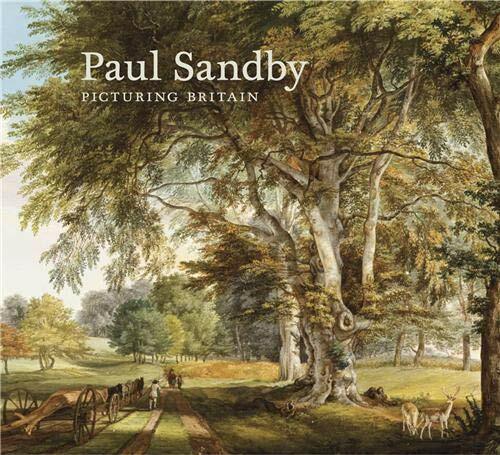 Paul Sandby RA (17311809) has long been considered the father of English watercolour painting. Presiding over the professionalisation and popularisation of themedium, he painted views throughout Britain, finding new scenes in a country experiencing rapid social and commercial development, and portraying familiar ones with a fresh eye. In thismagnificent survey, published to celebrate the artists bicentenary, leading authorities draw on new research to offer fresh perspectives on Sandbys work and the development of eighteenth-century British art.His role as a teacher and his innovations in printmaking are explored, as is the cultural and geographical scope of his work. Encompassing rural, urban,modern and historical themes, his art is unrivalled among that of his contemporaries for its remarkable range. Christopher Baker is Deputy Director of the National Gallery of Scotland, Edinburgh. John Bonehill teaches History of Art at the University of Leicester, specializing in eighteenth-century British landscape art. Stephen Daniels is Professor of Cultural Geography at the University of Nottingham and Director of the UK Arts and Humanities Research Council's Programme in Landscape and Environment. Sarah Skinner is Keeper of Art at Nottingham Castle.